Going off grid isn’t just for solo meditative retreats—nowadays you can comfortably bring the whole family along. 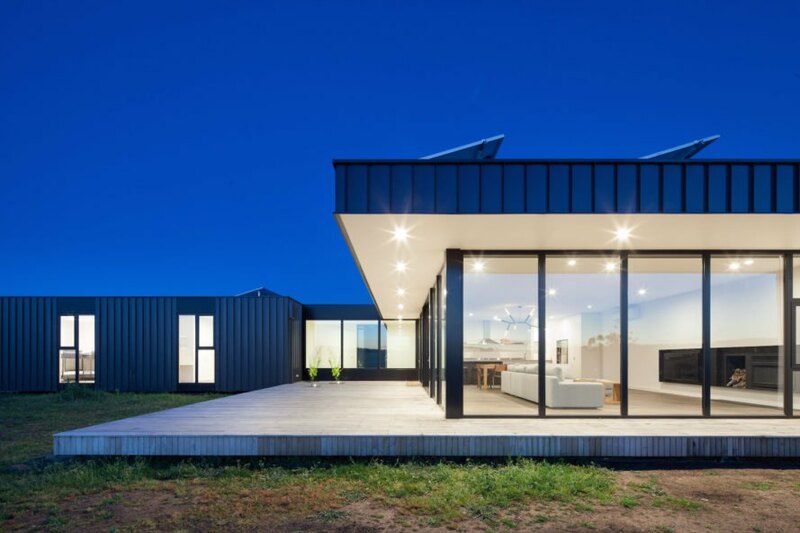 Australian firm Modscape recently completed their latest custom modular build called Franklinford, an off-grid residence in Victoria, Australia. Shared between two families, this four-bedroom home is completely self-sustaining with its own solar system and 80,000-liter water tank. 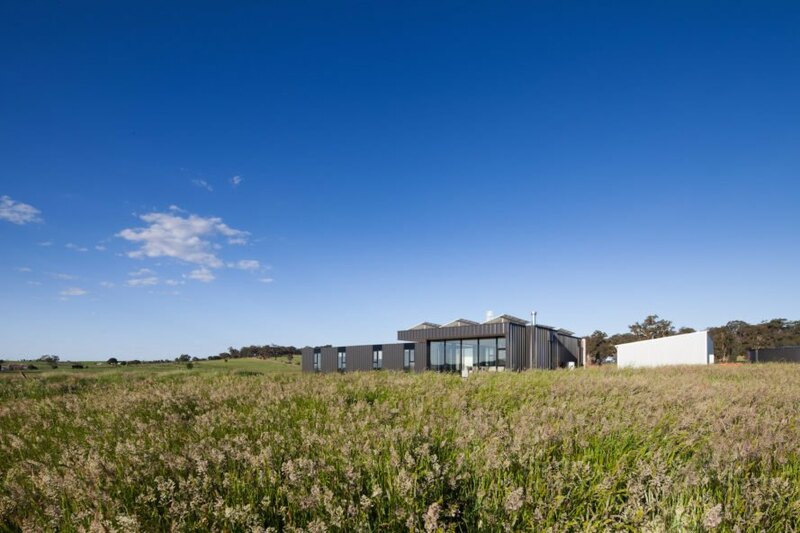 Set in an open farmland in Victoria’s Central Highlands, Franklinford takes design cues from nearby agricultural buildings with its no-nonsense metal and timber palette. Its east-facing facade seen from the approach is faced with radially sawn timber board-and-battern siding. Durable Colorbond steel clads the rest of the exterior that’s accented with Vitrabond aluminum. 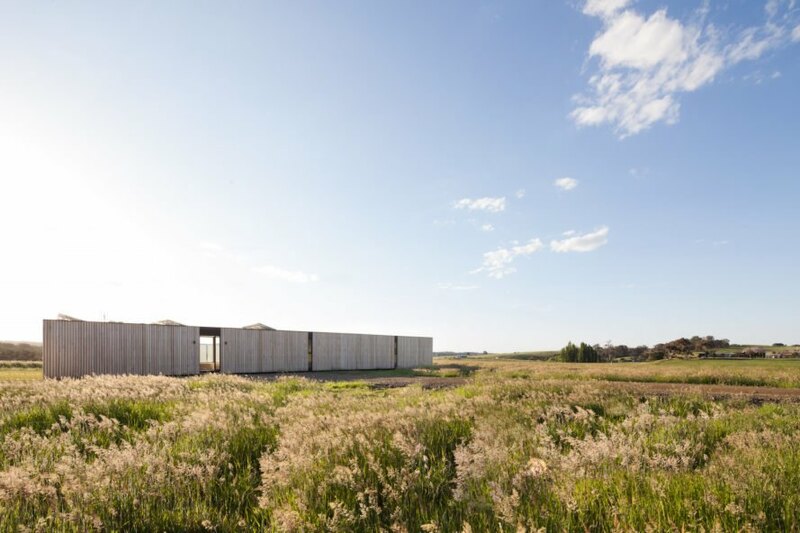 Oriented to capture winter sun, the low-lying rural retreat’s highly insulated shell is constructed from SIPs and thermally broken, low-e glazing to minimize temperature fluctuations. The interior features whitewashed walls set against dark oak timber floors for a clean and minimalist effect. 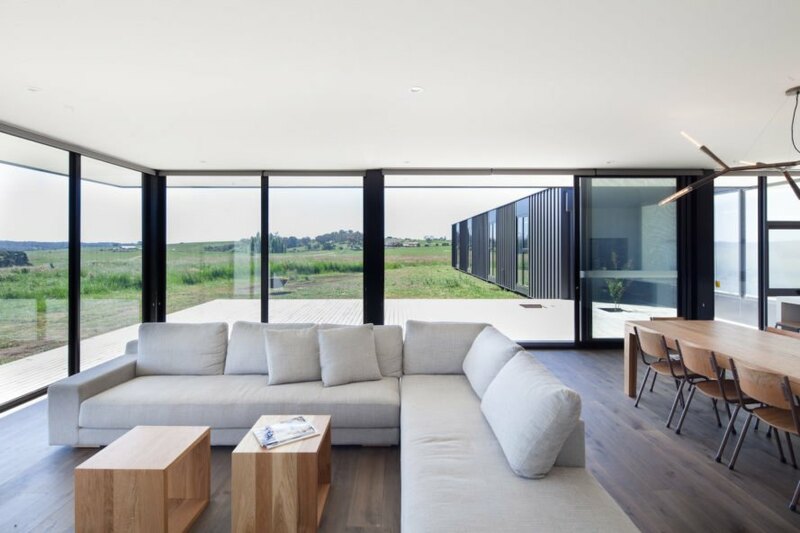 A large living wing forms the home’s focal point and is wrapped in floor-to-ceiling glazing that opens up to a north-facing L-shaped timber deck. The communal area leads to the four bedrooms via a long hallway. A nearby metal-clad shed houses the solar system and a large 80,000-liter water tank. 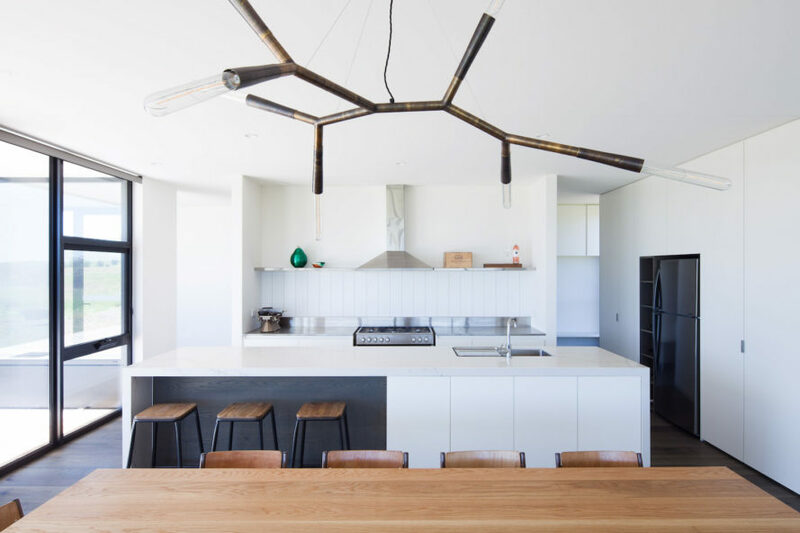 Set in an open farmland in Victoria’s Central Highlands, Franklinford takes design cues from nearby agricultural buildings through its no-nonsense metal and timber palette. Its east-facing facade seen from the approach is faced with radially sawn timber board-and-battern siding. Durable Colorbond steel clads the rest of the exterior that’s accented with Vitrabond aluminum. 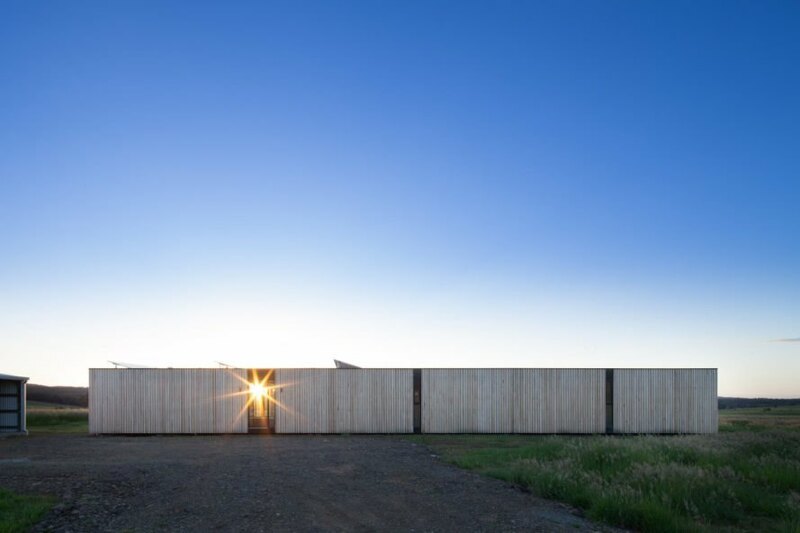 Oriented to capture winter sun, the low-lying rural retreat’s highly insulated shell is constructed from SIPs and thermally broken, low-e glazing to minimize temperature fluctuations. The interior features whitewashed walls set against dark oak timber floors for a clean and minimalist effect. 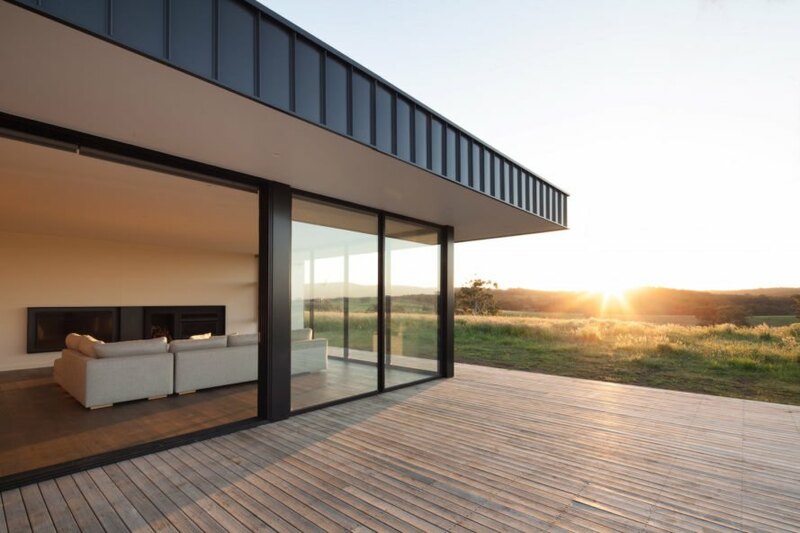 A large living wing forms the home’s focal point and is wrapped in floor-to-ceiling glazing that opens up to a north-facing L-shaped timber deck. The communal area leads to the four bedrooms via a long hallway.